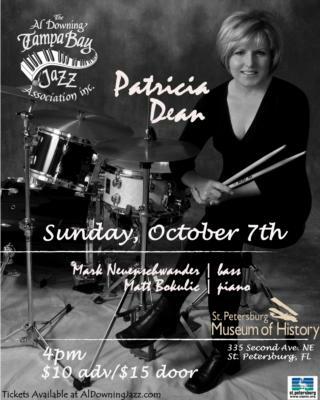 New to Gigmasters, but not new to the business, The PATRICIA DEAN TRIO has performed on the West Coast of Florida and on cruise ships for over 25 years. 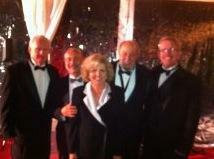 We specialize in Jazz standards and songs from the Great American songbook. Songs by Diana Krall, Natalie Cole and Frank Sinatra, as well as Jobim Bossa Novas and a few pop standards by artists such as Nora Jones, etc. Our instrumental arrangements include songs by Duke Ellington, Cole Porter, George Gershwin as well as music for ballroom dancing. Versatile, in that we can perform as a duo, trio, quartet, quintet and more, depending upon your event. We have performed for weddings, corporate events, in hotels, supper clubs, concert venues and cruise ships and pride ourselves with our experience, high musical standards and professionalism. Princess Cruises, to name a few. References available upon request. Your guests will be most impressed with our superb sound. 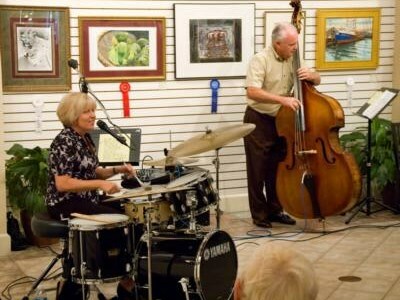 Please note PATRICIA DEAN TRIO will also travel to Tallevast, Manasota, Longboat Key, Bradenton, Oneco, Bay Pines, Palmetto, Terra Ceia, Holmes Beach, Cortez, Ellenton, Bradenton Beach, Osprey, Parrish, Anna Maria, Laurel, Nokomis, Sun City, Venice, Myakka City, Ruskin, Saint Petersburg, Sun City Center, Wimauma, Apollo Beach, Englewood, North Port, Balm, Gibsonton, Port Charlotte.